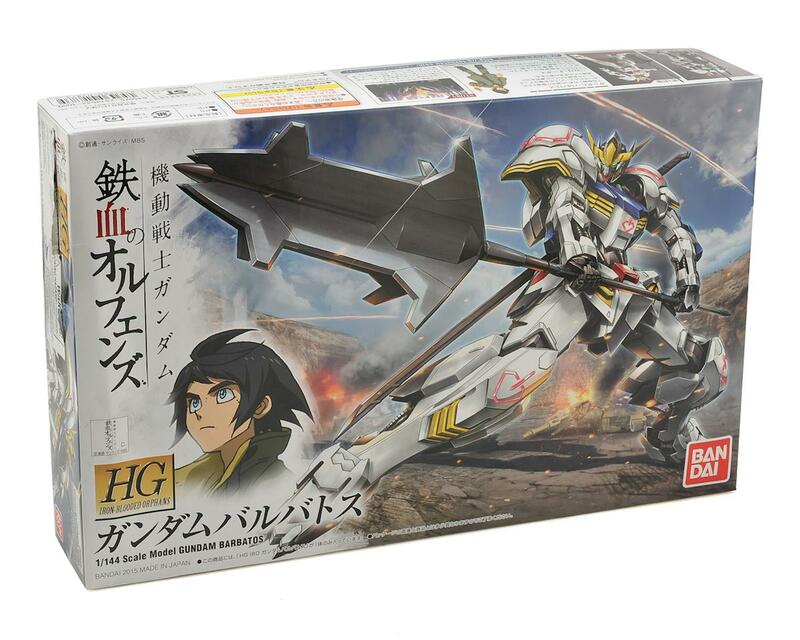 The Bandai Barbatos Gundam 1/144 High Grade Action Model kit shows the model from the 2015 animated TV series "Gundam Iron-Blooded Orphans". One of the 300 year old Gundam machines originally from the Calamity War and relegated to use as a generator after 3 centuries of neglect, the Gundam Barbatos was pressed into service during an attack by the enemy Gjallarhorn in "Mobile Suit Gundam: Iron-Blooded Orphans." 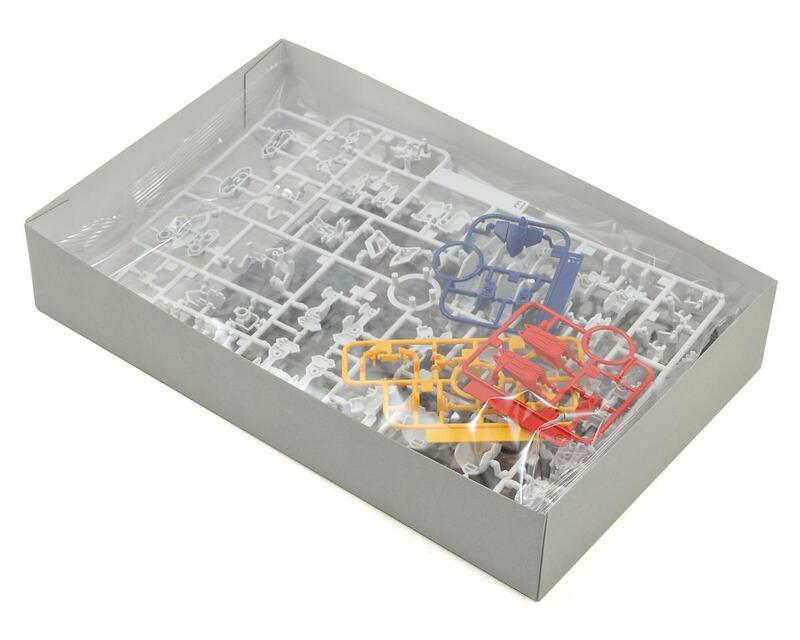 This HG version can swap weapons and armor parts with other kits in the series, and contains parts to build one of two different versions of the mech. 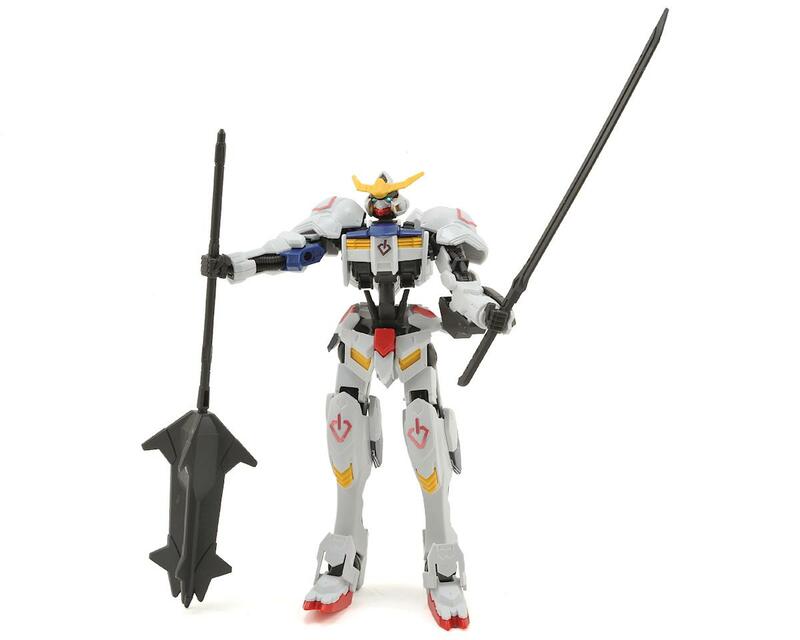 Includes Barbatos giant mace and katana as arming options. Colored molded parts require little to no painting to finish and pens can be purchased to outline panels and add details. Decals are included to add realism.